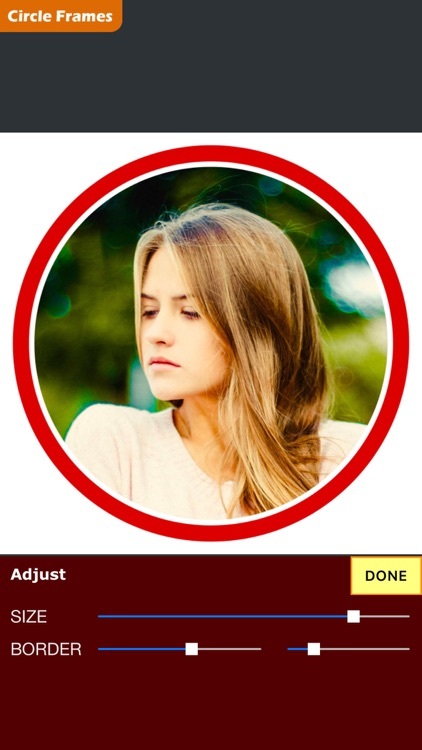 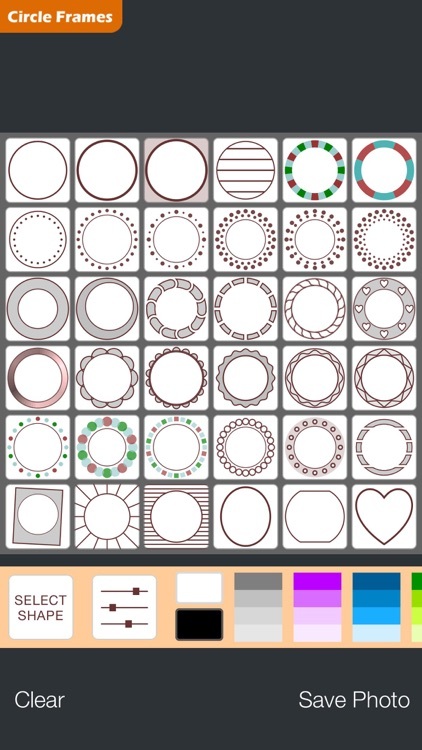 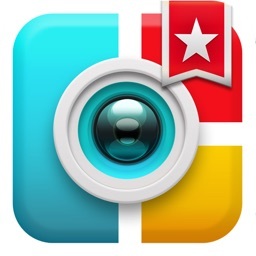 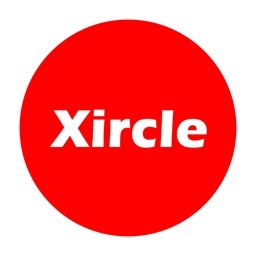 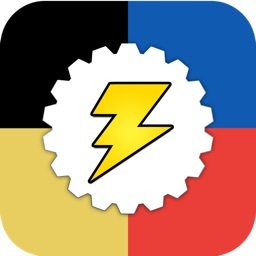 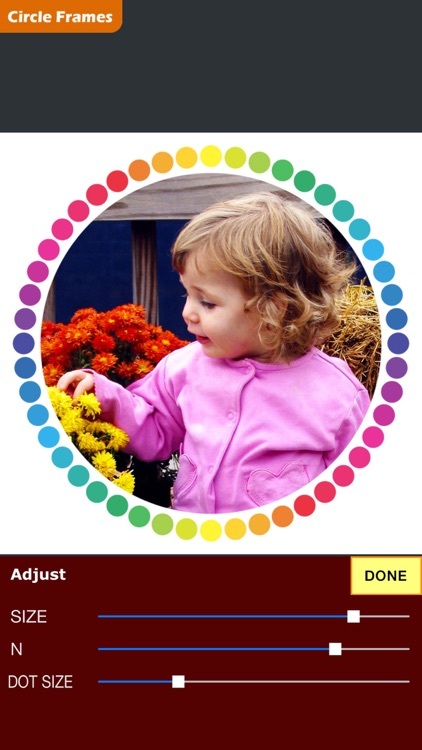 This app offers a variety of circle frames. 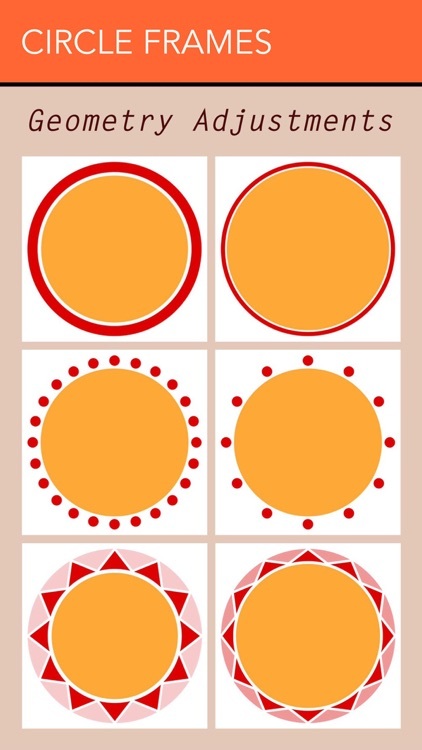 And adjusting the geometry is possible for all of them. 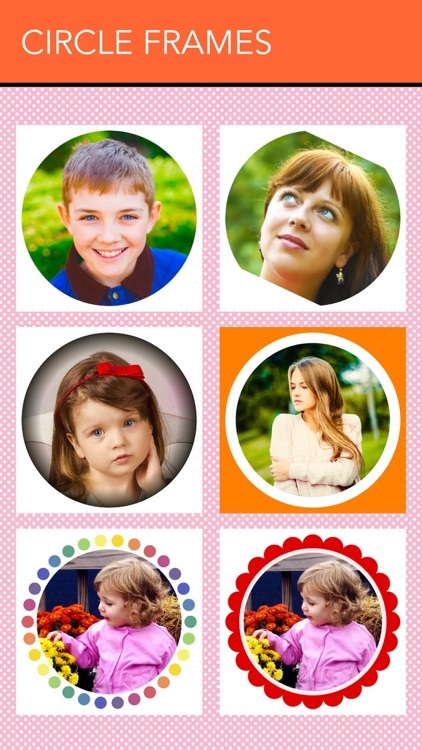 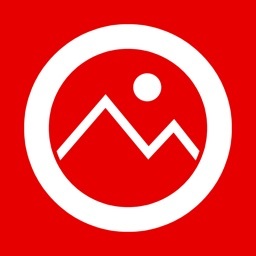 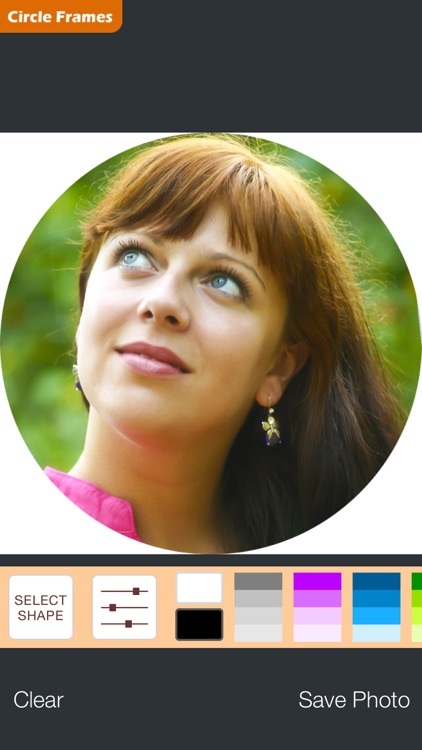 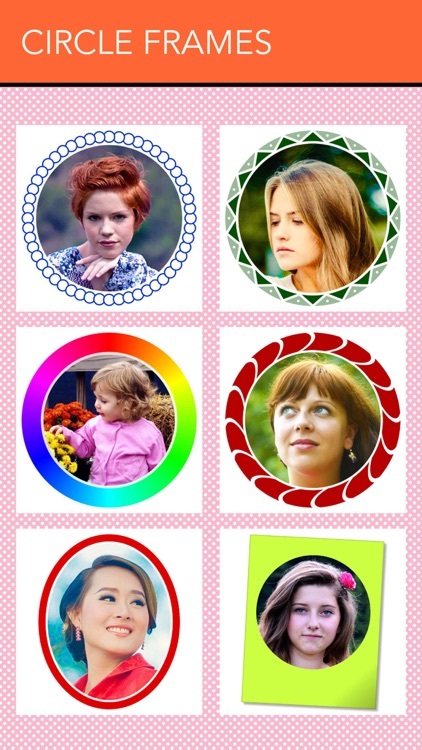 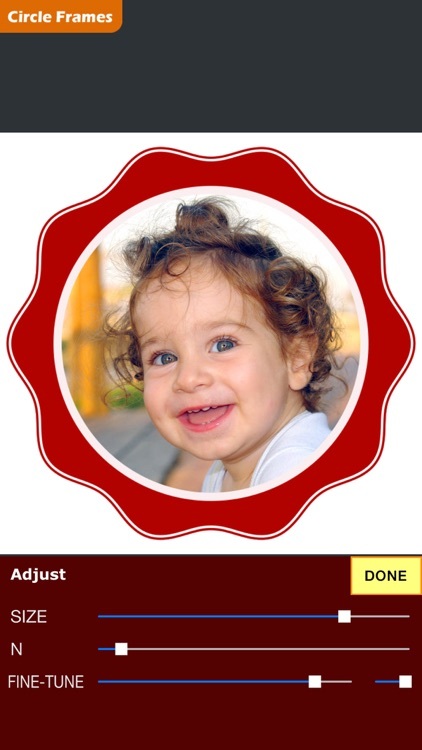 Pick a photo from device photo album, and then choose one of the various circle frames. 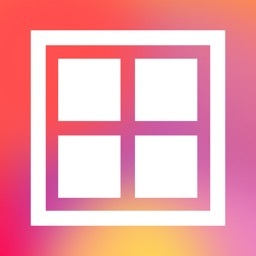 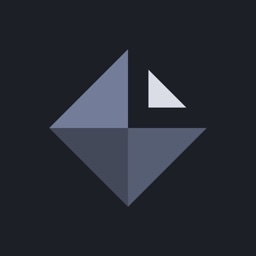 You can customize the geometry of the selected frame by playing with touch sliders. 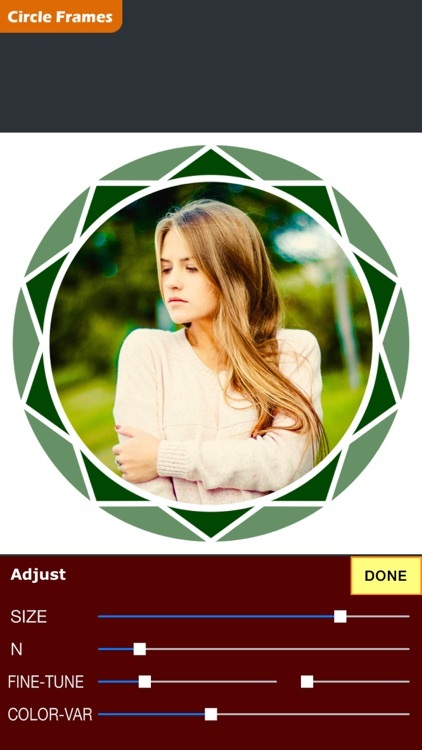 Finally, save the result (which is a single photo inside a circle frame) to photo album.